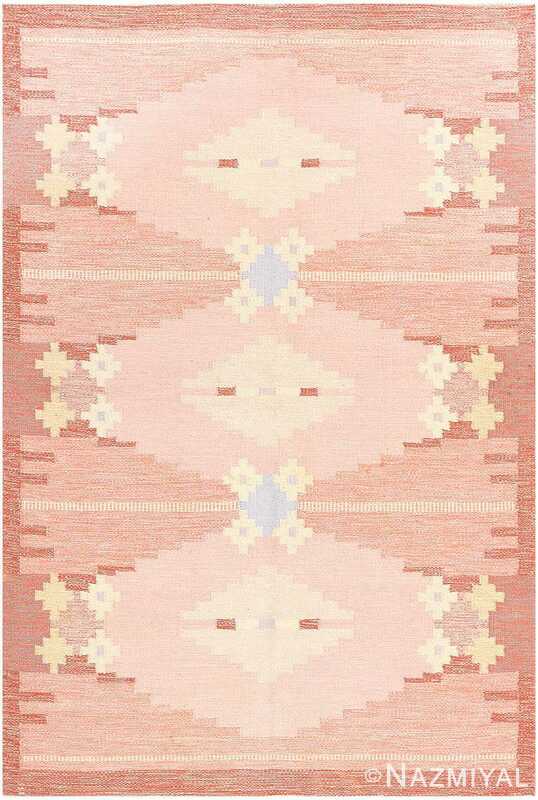 This comely Scandinavian carpet beautifully showcases Silow's style, from its lovely pallet of soft pink hues to its ephemeral and charming floral details. 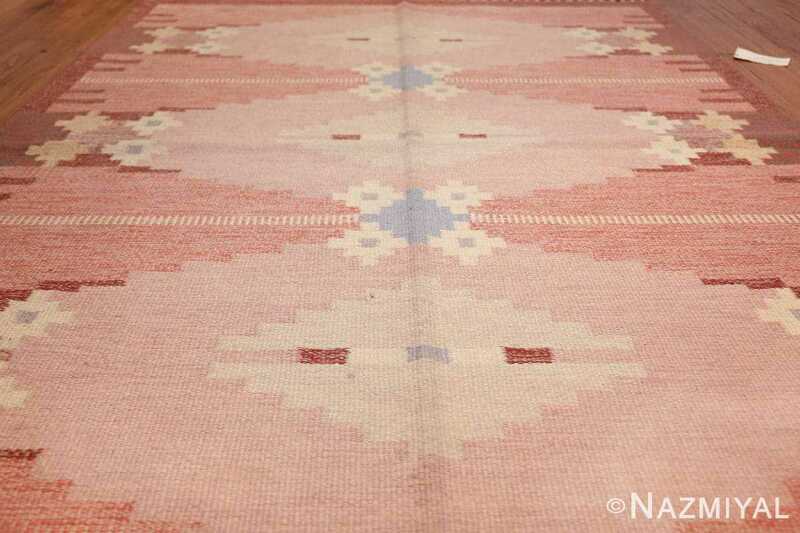 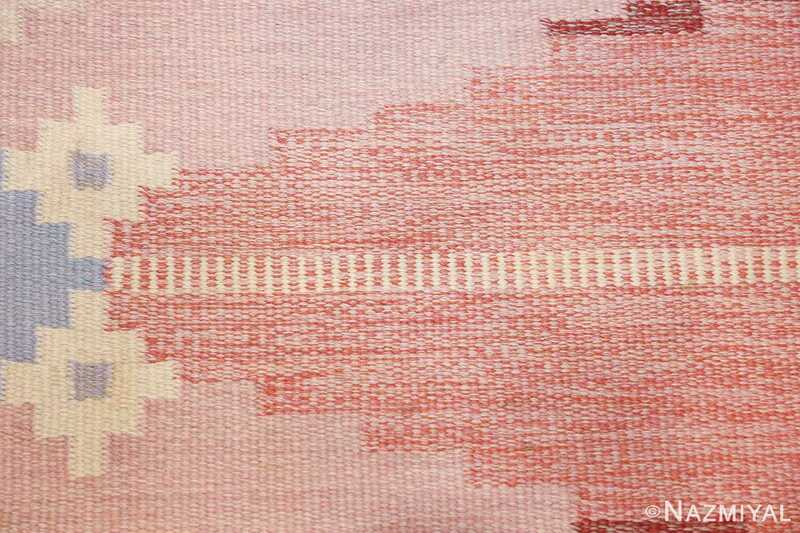 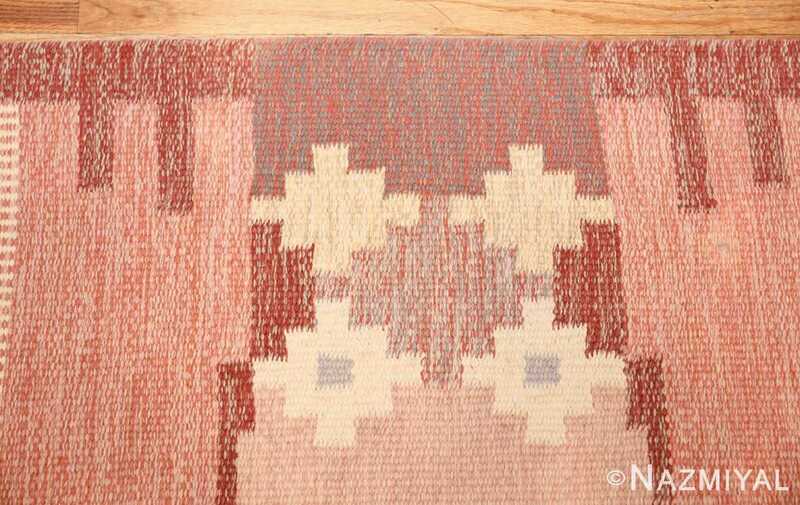 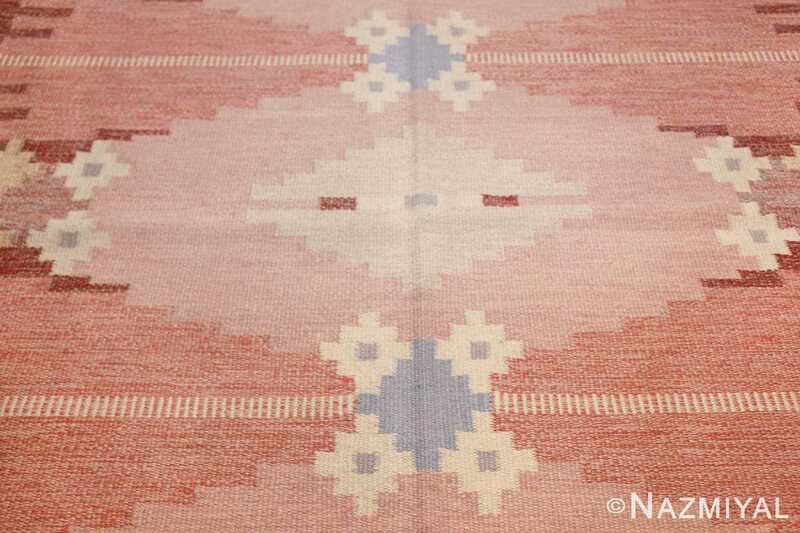 Vintage Swedish Rug by Ingegerd Silow, Origin: Scandinavia, Circa: Mid-Twentieth Century – This particular Scandinavian carpet beautifully showcases Silow’s style, from its lovely pallet of soft pink hues to its ephemeral and charming floral details. 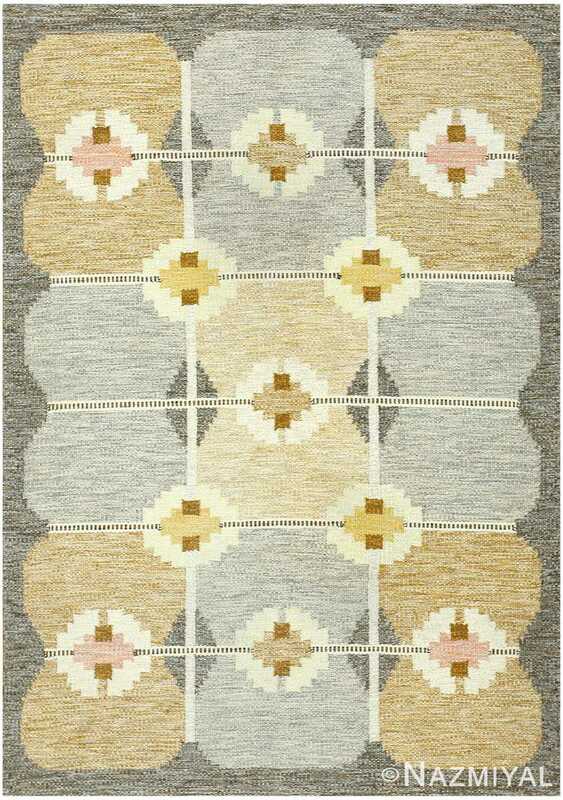 Effectively broken up into three compartments, this vintage rug utilizes a favorite composition format of Scandinavian designers. 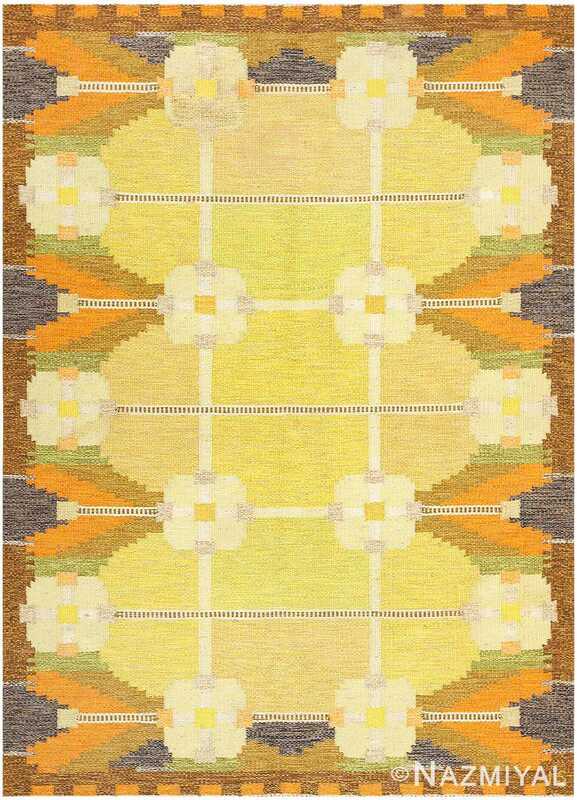 Each of the three horizontal compartments features a large, rectilinear diamond shape in its center, each of which is borders by small floral details, rendered in ivory, yellow, and a soft cornflower blue. 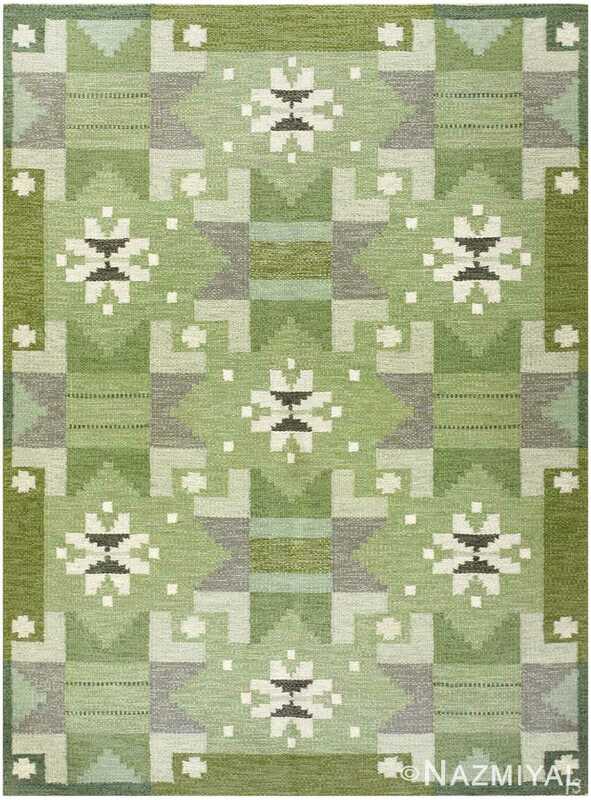 Taken all together, this carpet expresses a beautiful harmony that is a testament to the quality of its design. 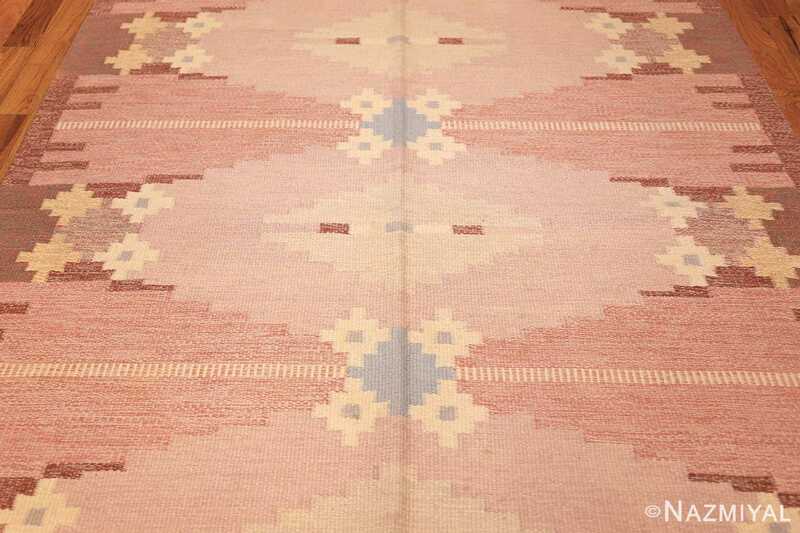 A beautiful mid-century Swedish carpet, this stunning vintage rug is an exciting and alluring example. 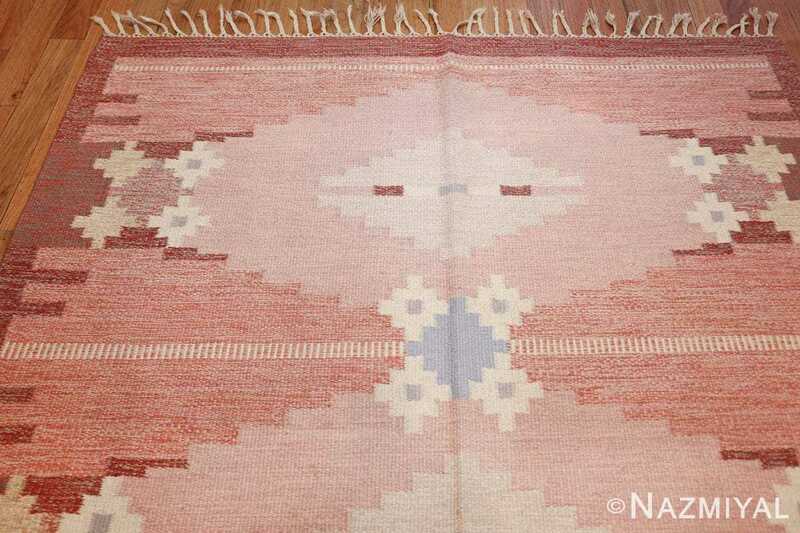 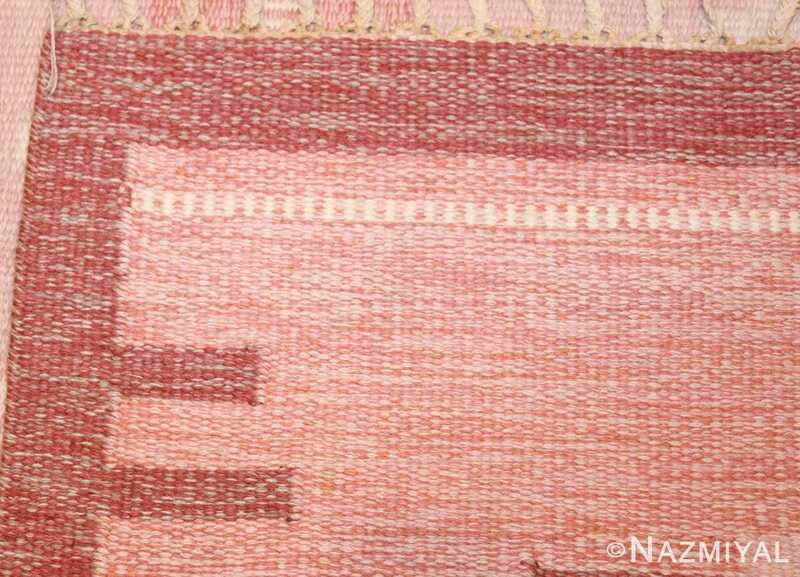 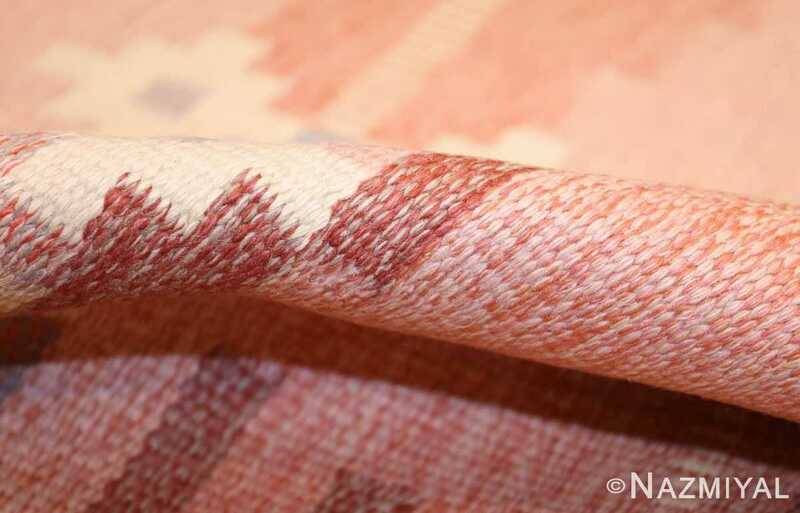 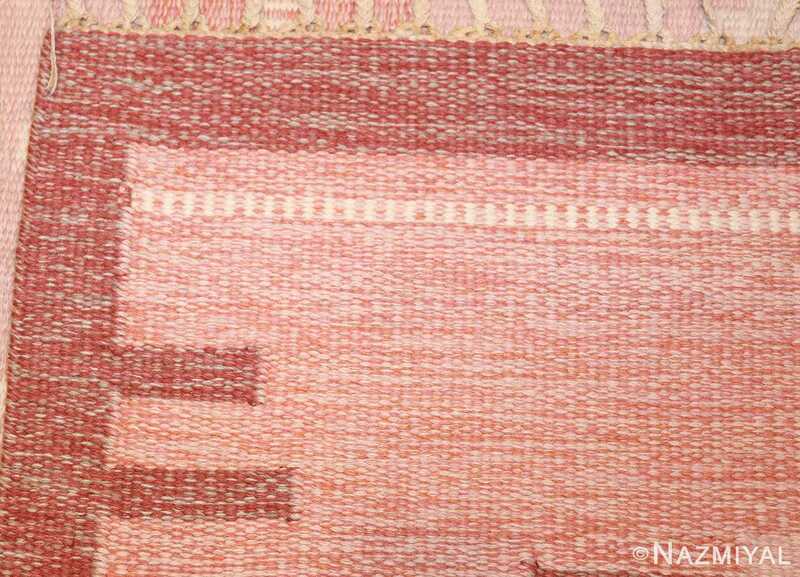 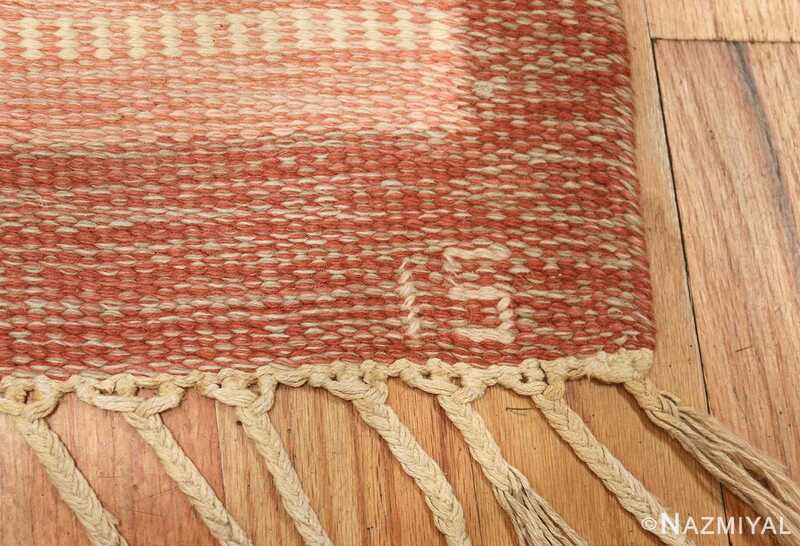 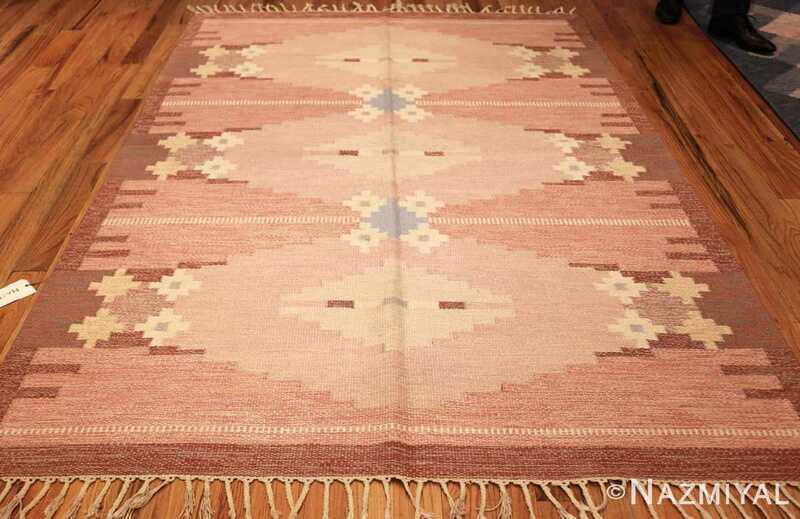 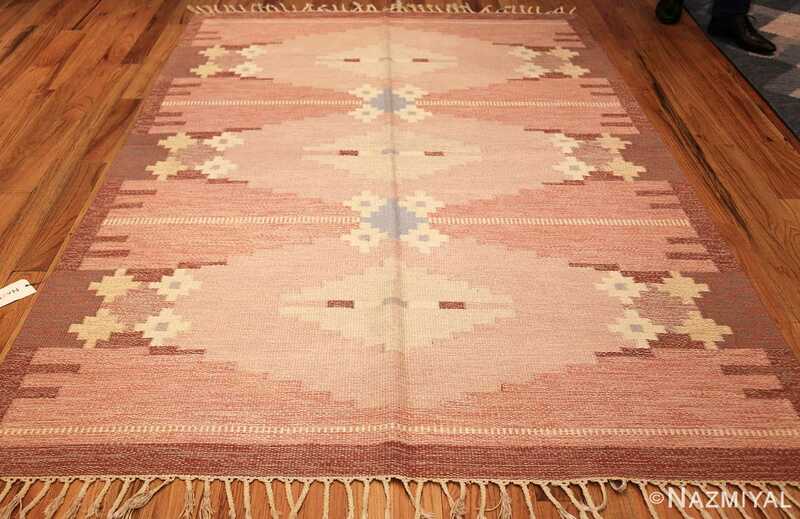 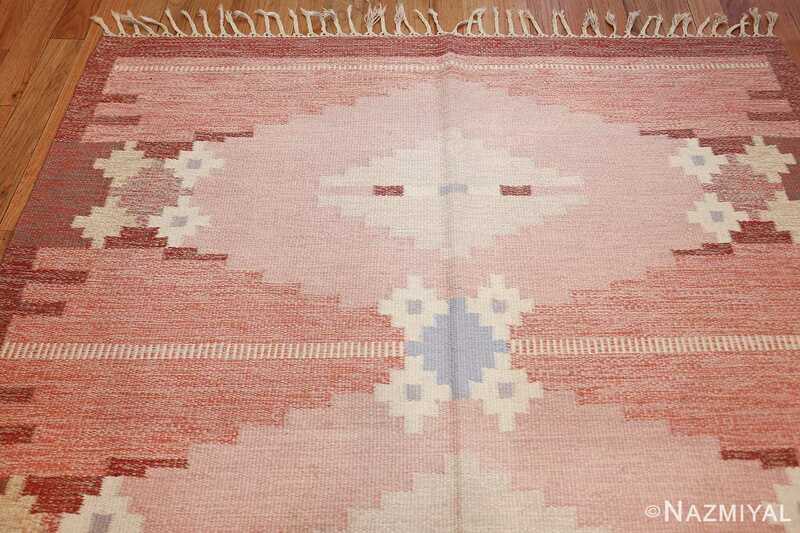 This charming kilim, with its lovely and varies pallet, beautifully captures Silow's best qualities. 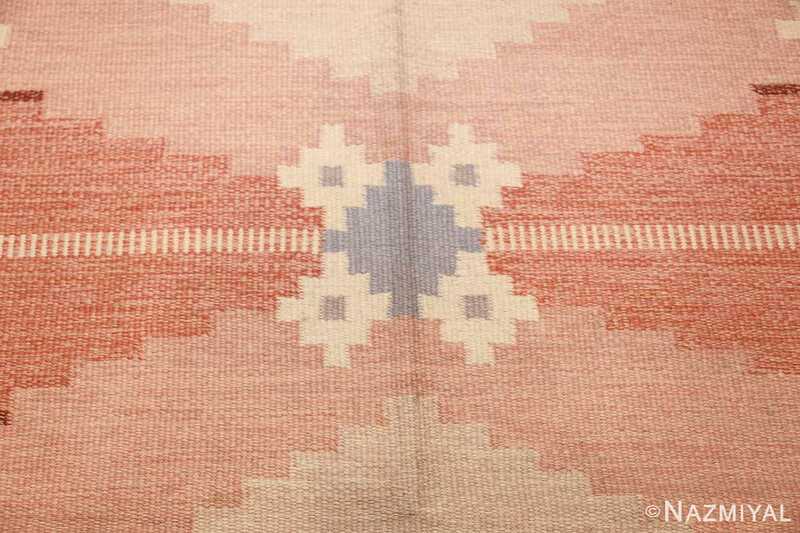 The geometric structure and floral details are rendered in an especially fine manner. Characterized by an exciting and complex design of geometric figures, this lovely vintage kilim from Sweden features a fetching pallet of greens. This Swedish kilim vintage carpet boasts many of the qualities most sought-after in mid twentieth century pieces. 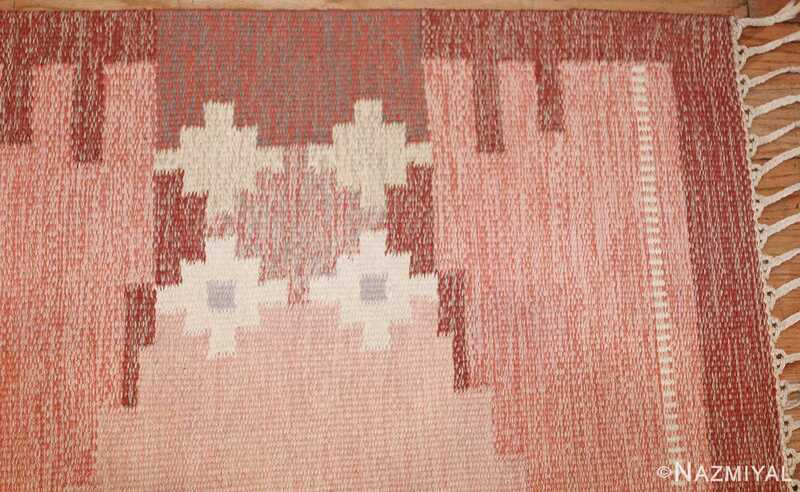 Further, it beautifully showcases some of the finer points of Silow's recognizable style.